This amazing TV is a part of D-series from Vizio. It is a 43-inch Full-Array LED TV that offers some amazing features at a really affordable price. 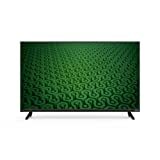 Vizio has become one of the top-selling television brands in North America, and it offers a vast range of LED-based LCD televisions which are available online, from major retailers, and at warehouse clubs. It is an amazing brand that offers a Full-Array LED backlight design in the most of its new TV models, ranging from entry level TVs to fully-featured high-end Ultra HDTVs in a Reference series. Business model of this company is to offer step-up features at a lower price than other major TV brands. And the VIZIO D43-C1 is not an exception. It will provide you with truly amazing viewing experience, and deliver awesome entertainment at a great value. It features a new and modern design, as well as brilliant picture quality. The LEDs are distributed behind the entire screen by the Full-Array LED backlighting in order to deliver superior picture performance and light uniformity. As we already mentioned, this TV, like all the D-series models, delivers brilliant picture quality in a modern, slim design. This great, 43-inch display delivers clear, crisp 1080p High Definition resolution, and it boasts an ambient light sensor which automatically adjusts to the ambient, surrounding brightness. This means you will get a really good picture in just about any room in your house. The picture you get from this TV is vibrant and detailed thanks to its amazing 43’’ display and 1920 x 1080 resolution. Its picture clarity and quality are truly stunning thanks to some innovative features which put greater grace into every pixel. It is more than enough to say that 2 million screen pixels on this display are combined to form 1080p Full High Definition in order to produce amazing level of crystal-clear detail and radiance. Moreover, you probably won’t have any problems watching fast action scenes in movies or games thanks to the VIZIO D43-C1’s powerful image processing and Clear Action 240 improved motion clarity as well as 120Hz effective refresh rate. 200,000 dynamic contrast ratio on the TV provides vibrant, bright colors, and inky blacks. Included with this TV are 2 HDMI ports which are ideal for connection your entertainment devices of high definition to this TV such as your game console, Blu-ray player, or satellite and cable receivers. Other inputs include a USB port that can be used to play different media that is stored on your flash drive, like photos, music, and video; and one component-video port that doubles as a composite-video port. This TV is 24.53 inches high, 37.99 inches wide and 8.27 inches deep, including the base of the TV. The screen sports a glossy finish, and the panel itself is 2.52’’ thick. 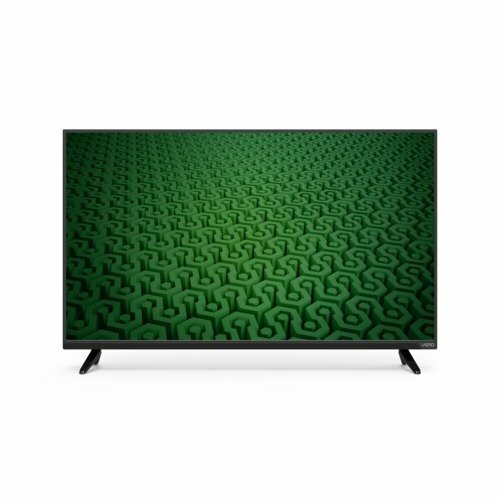 The bezel surrounding the screen is gloss black, so the VIZIO D43-C1 boasts a really nice and modern design that should be a pretty nice addition to any room. This TV has a built-in HDTV tuner which works really well for over the air stuff. If you are watching movies off a Netflix device or a Blu-ray player, you probably should not be looking further as this TV is perfect for that purpose. The speakers on D43-C1 are pretty good, but they fire backwards, so you should probably be aware of that since this means you will most likely need to have the TV in front of a reflective wall, or otherwise you will need to turn up the volume on the TV quite high. However, there is a solution to this “problem”. You can connect the sound bar to the TV in order to get the perfect sound for your home entertainment. If you buy this set, and get the sound bar as well, you’ll find that the sound bar works seamlessly with this model from Vizio. There are a couple of simplified but distinctive Vizio Sound Bar options to choose from, such as 5.1 Sound Bar System that will turn any room into a real home theater, then there is 2.1 Sound Bar System with crystal-clear sound and extra bass kick to fill any room in your home with more immersive audio, and finally there is 2.0 Sound Bar which provides optimized sound for small to medium sized televisions and rooms where a plain audio upgrade is all that is needed.